Whether we like it or not, Google, Apple, and Facebook have dictated the way we market our businesses online. Personally, I think that most of the changes are for the best. Their updates are based on real time data that they receive from how you and I use their products everyday. It should be pretty obvious to all of us what makes a good website, but we occasionally get lost in our own forrest and focus on the wrong things. If you want to step out and see what truly matters, try keeping a closer eye on updates made by these companies. If you’re writing blogs just to improve your Google ranking, you’re missing the point. 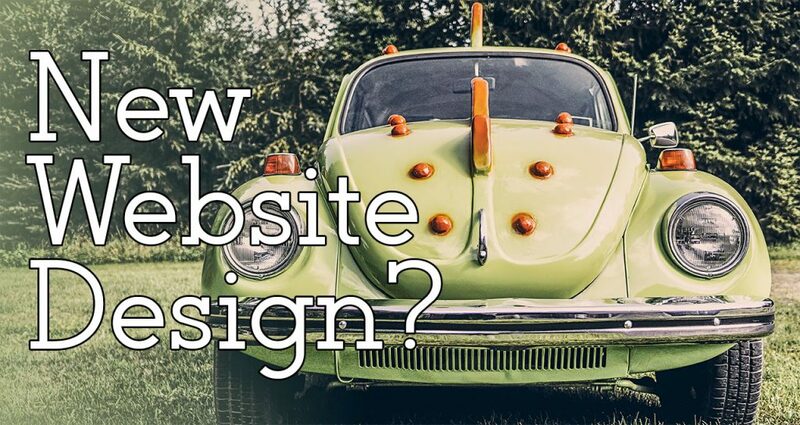 Make sure your website is easy to use. Navigation should be clean, simple, and consolidated to only the most important topics. Don’t overwhelm your customers with 10 different labels on your main menu. Your site should be usable on all devices. Your customers are on the go, so your website needs to be mobile friendly and accessible on a smartphone, tablet, and a laptop. Be mindful of where you want your customers to look or act. Sites with too much going on are distracting, so you end up with customers going to your site but they quickly end up lost because there’s too much going on to make a firm decision. Be intentional about how you want your users to act. Create original content that clearly articulates what you do, who you are, where you are located, and why you are different. If you’re a family entertainment center, make sure that your site’s content illustrates why you create a unique experience that will make families choose you over your competition. Add value to the Internet through fresh content creation. Through all of Google’s algorithm updates, it has become very clear that they love fresh, original, and relevant content. Blogs are some of the easiest ways to quickly and effectively share fresh content with your customers. If you’re going to create content, be sure that it creates value for your customers. If you’re writing blogs just to improve your Google ranking, you’re missing the point. Take care of the small things will help you succeed with Google. The visual aspects of your site are incredibly important, but don’t overlook the small things like how your content is structured, how fast it loads, or whether each pages is uniquely optimized for your customers to find what they’re looking for in Google search. When your site automatically makes noises, you’re turning users away. Please stop doing this. When your site automatically makes noises, you’re turning users away. Facebook was often compared to MySpace in its first few years, and some stubborn users tried to carry over their bad habits to the new ultra clean and simple social network. The last thing Facebook wanted was to be like MySpace, so auto play noises were not going to fly. Your website should operate the exact same way. Don’t turn users away because you have your favorite soundtrack or theme song blasting when people visit your website. Remember to be human. The rise of mobile and social media have made consumers, especially Millennials and Generation Z, hyper aware that they prefer authentic human experiences when interacting with businesses. Your website might not directly translate into traditional sales and that’s okay. When examining the ROI of your web presence, consider that business is now human to human. The days of B2B and B2C are done. Make it easy for your customers to connect with you via social media, your monitored review sites like Google+ and Yelp, or a customer service (experience) email address. Try integrating your Instagram feed into a section of your site like TopGolf.com (see their #ILoveTopGolf section) and encourage users to share their experiences! Look for new ways to engage your customers. When people really like your business, they’re happy to connect even further. Encourage users to sign up for your newsletter or birthday club with nonintrusive website popups. Stay fresh in their minds by running ads using Facebook’s custom audiences. This will allow you to promote content to website visitors or customers in your email and phone database. Using these tools will help you connect with your customers even when they’re not on your website. Consider that business is now human to human. The days of B2B and B2C are done. Did you find this information valuable? We want to know! Email us, leave a comment, or share it with friends and coworkers!